When Oasis split back in 2009, it seemed the smart money was on brother Noel Gallagher to be the one the shine on his own. Although singer Liam Gallagher had the persona and the voice, Noel, after all, wrote most of the band’s classic songs. It was a surprise then when Liam and his band Beady Eye came up with a rousingly solid debut album. But after issuing their second, the disjointed Be, Liam pulled the plug on the band. 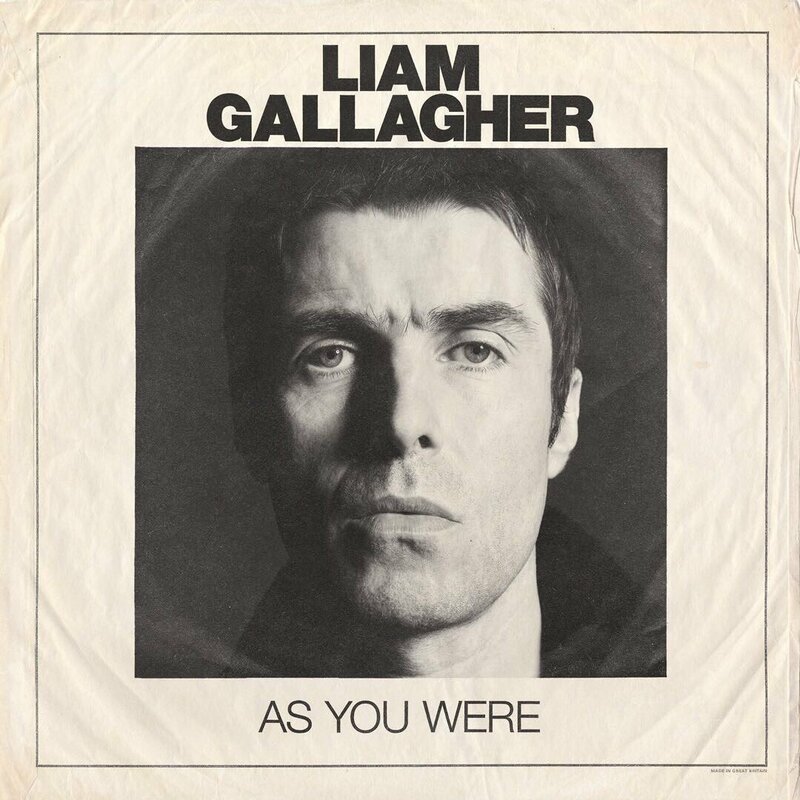 Fast forward to 2017 and Liam Gallagher has his first proper solo album, As You Were, in hand and it’s really good. From the opening notes of “Wall of Glass,” it’s obvious Gallagher isn’t attempting to reinvent the wheel, but rather polish up that wheel in familiar colors for the faithful while adding a few new twists along the way. The John Lennon-esque vibe in his voice still shines as the guitars blare and the rhythms pound. “Bold” is cut from pure Britpop paper with slightly psychedelic overtones and some almost gospel-like backing vocals. “Greedy Soul” really kicks the album into gear with a driving groove of pounding drums and acoustic guitars. Liam sings, “You’re getting told / You greedy soul / You’ve been telling lies / You’re a slippery kind.” A shot at Noel, perhaps? “For What Its Worth” is drenched in 1968-era Beatles, because if you’re going to steal, steal from the best. Liam’s “theft” is spot-on here, drawing upon a pile of references that no doubt will have Jeff Lynne envious. “Chinatown” takes things on a lovely psychedelic detour for one of the album’s finest moments. There really are no bum tracks, although a couple of songs fail to dazzle. But “You Better Run” and “Paper Crown” raise the dazzle factor in a big way. on the album. The album ender, “I’ve All I Need,” is one of Liam’s finest moments ever. It has a genuine sincerity to it, both lyrically and musically. The simple melody and presentation remind you of what made Oasis so engaging when they were at the top of their game. One other smart move on Liam’s part here is limiting the songs at four minutes or under. By trimming the fat and keeping things focused, the listener stays engaged throughout. This was always a flaw in many an Oasis song (and, truth be told, that problem lingers into Noel’s solo work to some extent). On As You Were, we get a dozen short, sharp songs clocking in at around 40 minutes. Song for song, this is Liam’s finest post-Oasis offering, and he raises the stakes in the unofficial battle with Noel. Will there be a 25th anniversary reunion in 2019? We will have to wait and see, in the meantime, this should keep the fans rocking, rolling and smiling.